In the second of our series looking at the favourite venues of our reviewers, Ken Longworth examines the mixed fortunes of Newcastle’s heritage theatres. The Victoria Theatre is the oldest major live entertainment establishment in New South Wales, having been built in 1890-91. It has a highly decorated Victorian facade and interior Grecian flourishes, including gold ceiling motifs and a grand proscenium arch. Despite closing for live performance in 1966, and having been boarded up for the last twenty years, successive owners have maintained its facade and auditorium. In 2015 it was up for sale and extremely vulnerable to being sold to a property developer. A white knight emerged – Century Venues – famous for restoring Sydney’s Enmore Theatre from “pigeon infested dump” into a lively entertainment hub. The family owned company has begun to restore the building to a performing arts venue, hoping to have it ready to re-open within two years as a live music and theatre space. It’s looking at a capacity of 900 seats, so that it will be the mid-size venue the inner city needs, between the 1520-seat Civic Theatre and the 205-seat Civic Playhouse. The Victoria Theatre was a key community facility in its first 30 years. It was at the centre of Newcastle’s celebrations in 1897 of Queen Victoria becoming the longest-reigning British monarch and, later that year, of the centennial of Newcastle’s site being discovered by Lieutenant John Shortland. The Victoria was used by touring companies, with one of the centennial year shows appropriately being an adaptation of the then new Australian novel Robbery Under Arms. And events at the theatre included, in November 1913, a boxing match in which the legendary Les Darcy was beaten by his opponent. In 1921, the theatre underwent refurbishments which included equipping the building for use as a cinema as well as live action events. But while the theatre, increasingly, was used mainly for films, it continued to attract live performers such as June Bronhill and Roy ‘Mo’ Rene, and companies including J. C. Williamson and Britain’s D’Oyly Carte Opera Company. An amateur theatre company, Newcastle Dramatic Art Club, staged the musical Oklahoma! there in 1953 when it was the world’s first non-professional group given the rights. The cinema company Hoyts was given management rights in 1942, and when it surrendered its contract in 1966, a time when television was cutting away film box-office takings, the theatre closed. Its foyer subsequently hosted a series of shops, most of which had small takings, until 1999, when the retail trading ended. Fortunately, the only other space taken up by the retail work was the storage of goods on the theatre’s large stage. Newcastle’s other nationally-renowned theatre venue, the Newcastle City Council-owned Civic Theatre, was built between 1927 and 1929, and backs onto the City Hall, which was built at the same time. 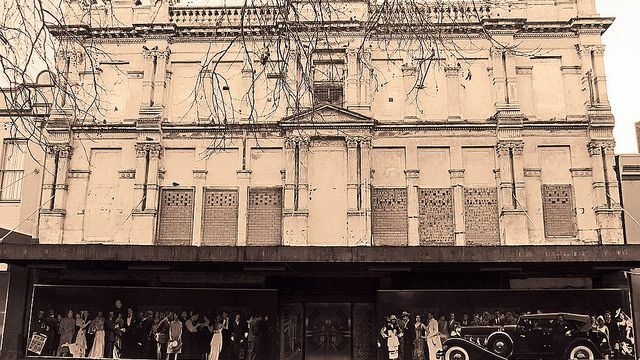 While the Civic was intended to be a live theatre, it was leased to successive cinema-operating companies, with Hoyts having the last and longest lease from 1941 until 1973. The Civic was designed by prominent theatre architect Henry Eli White, who also designed Sydney’s State and Capitol Theatres, and it has similar features to them. It is a finely crafted example of the Georgian Revival style, with the largely intact interior likewise seen as an outstanding example of the Spanish Baroque style on a large scale. A marble staircase connects the ground floor and dress circle, the traditional proscenium arch is crowned with a classical frieze, and there is a grand ornamental dome in the ceiling. The theatre has operated almost continuously as an entertainment venue since 1929, with the council undertaking renovations in the 1970s after deciding in 1971 to phase out film screenings and focus on live productions. The renovations included enlarging the 1929-built orchestra pit and widening the stage. Film presentations ended in 1976. The Civic was subsequently renovated between June 1992 and November 1993, at a cost of $10.4 million. The establishment in 1976 of the Hunter Valley Theatre Company, Australia’s first fully-professional regional theatre company, led to a smaller auditorium, the Civic Playhouse, being built on the upper level of a building adjoining the Civic. The Playhouse, designed by Newcastle architect Brian Suters, opened in 1979, with the intimate floor-level performing space putting 200 audience members sitting in raised seating rows close to the actors. HVTC initially attracted large audiences, but increasing problems within the company led to it going into recess on several occasions and audience numbers declining. The company folded in 1996 and the Playhouse closed in 1998. The closure led to a campaign by community members to have the Playhouse re-opened, with more comfortable seating and better facilities for actors. Newcastle City Council and the NSW Ministry for the Arts committed $1.5 million to the refurbishment of the Playhouse and it re-opened in December 2004, after eight months of constructive work. While it is used by professional companies touring small-scale productions, it has increasingly attracted local companies. 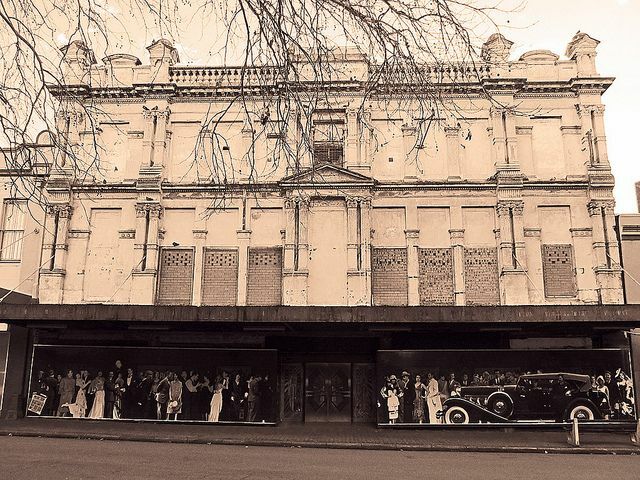 Both the Victoria Theatre and the Civic Theatre are listed on the NSW State Heritage Register. A third Newcastle venue on the register is the Kings Theatre, on Morehead Street, in suburban Lambton. It is now known as Lizottes Newcastle, after being taken over by theatre restaurant company Lizottes in 2009. The Art Deco venue opened in 1910 as Coronation Hall, in honour of the coronation that year of Britain’s King George V. It has been a dance hall, silent movie venue, skating rink, modern cinema, video store, music hall, and was briefly used for boxing bouts. In 1968, the then owner, Warren Murnane, changed the name to Kings Theatre. A more recent owner converted the venue to a theatre restaurant in 1989 and it has become a popular entertainment centre.